The Astus concept responds to a real demand throughout the boating world. 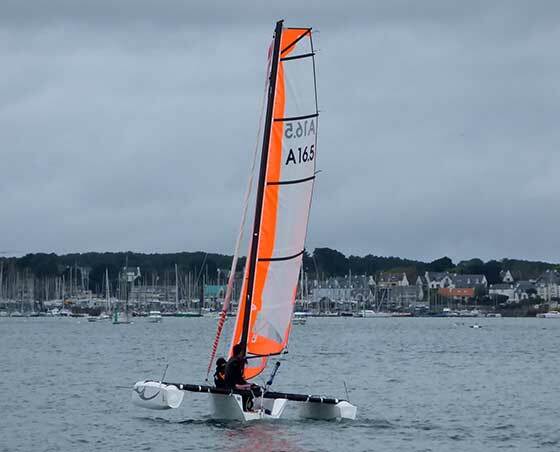 Since the launch of the Astus 24, two years ago, the company is continuing to expand their trimaran range, surfing the wave of popularity of sport multihulls. This new model will be exhibited at the 2016 Düsseldorf Boat Show. 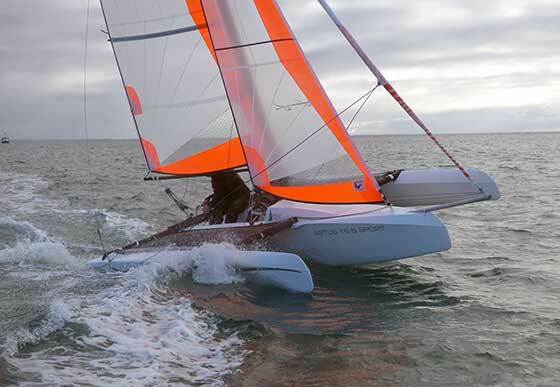 With the Astus 16.5, Astusboats enters a new era. Working with the architectural firm, VPLP (which specializes in multihulls) promises to produce a high-performance, efficient boat. • Standardization of the product to ensure continuity throughout the life of the model and the boat. The concept is preserved in its entirety: easy handling, portability, performance. • Telescopic floats which make transport possible without any dismantling. Once the floats are retracted, Astus 16.5 meets the all road gauge requirements. • Applying the thoroughly tried and tested Astus concept, this new improved model has a more modern shape and a sportier line, with harmonious curves and narrow water entry. • Simplified and standard maintenance of the polyester in either contact or infusion structures. • A sabre board allowing ease of use. • Limited weight for dinghy-style use. • An outboard motor can be mounted for coastal trips. • Club or sports version from 14 900€. 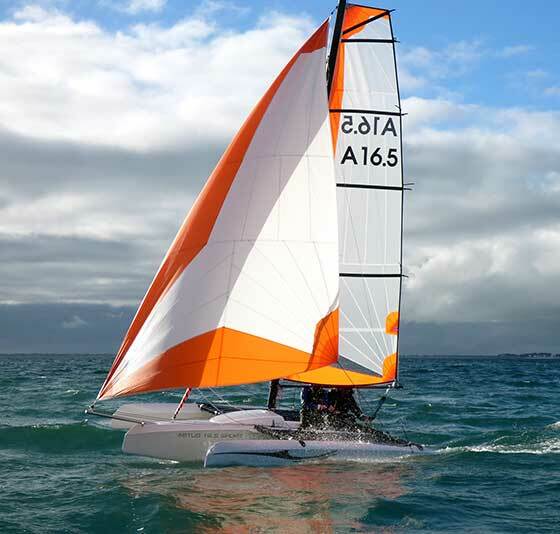 1) A club version for gentle sailing for families or sailing schools.